I received and error saying "Unrecognized attribute 'targetFramework'. Note that attribute names are case-sensitive." with a description of "An error occurred during the processing of a configuration file required to service this request. Please review the specific error details below and modify your configuration file appropriately." 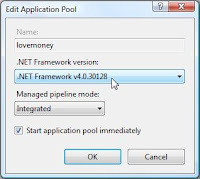 Go to IIS and find the Application Pool you are using. 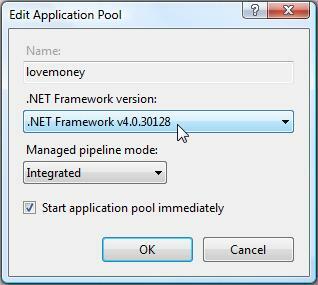 Right click it and select Basic Settings then simply change the target framework to .NET Framework v4 as illustrated. worked for me mate. sure you got the right application pool? Great, exactly what I needed to make it work.